A Madea Family Funeral was released on Cinema 48d ago in the US. Based on 8 A Madea Family Funeral Cinema reviews, A Madea Family Funeral gets an average Cinema review score of 47. The score for all versions is 47 based on a total of 8 reviews. 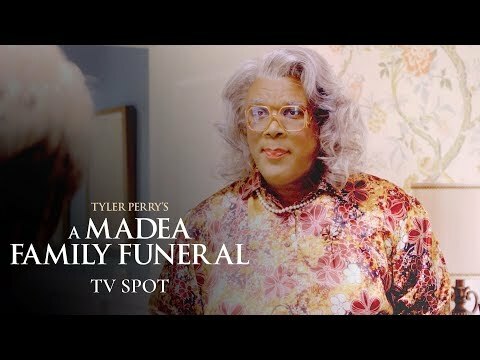 Madea is alive and kicking, and Tyler Perry is back in lurid form, in a movie that combines weaponized burlesque and primal soap opera. Tyler Perry makes his announced final screen appearance as the foul-mouth matriarch in this 11th entry in the hugely popular comedy franchise.